Of all the Old West characters I have encountered in my readings over the years, Billy the Kid and Doc Holliday remain my two favorite, so I was excited to learn that Karen Holliday Tanner, the closest living relative to Doc Holliday, was attending the recent Wild West History Association meeting in Oklahoma City. 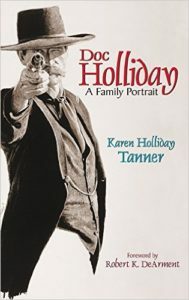 Karen had published Doc Holliday: A Family Portrait with the University of Oklahoma Press in 1998. Based on family records and reminiscences, her book fleshed out Doc Holliday’s early years and put in context his battle with tuberculosis and how it shaped the western persona that has become the grist for both western fiction and nonfiction. Spotting Karen during one of the breaks at the WWHA meeting, I walked over and introduced myself. I was pleased when I told her my name and she remembered me as authoring The Lady and Doc Holliday. As I explained how much I liked her book and how I considered Doc Holliday one of my favorite personages of the Old West, she smiled and said he was atypical for the Old West, being well-educated and genteel. Had he not contracted tuberculosis and moved west for his health, he might have lived out his life as a dentist in obscurity. Instead he became a frontier legend, who lived a dangerous life yet died peacefully in bed from the ravages of tuberculosis. 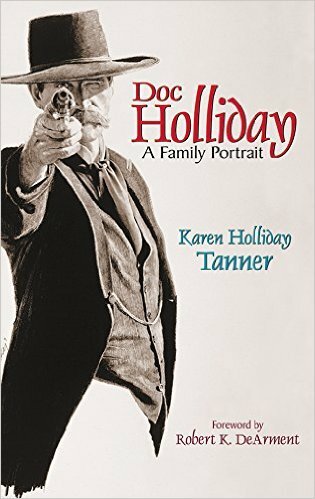 My interest in Doc Holiday is reflected in the fact that he is the only historical character I have used in two of my novels—The Lady and Doc Holliday and Mix-Up at the O.K. Corral. To my knowledge, my protagonist in Mix-Up—H.H. Lomax—is the only fictional character ever to have a tooth pulled by Doc Holliday. 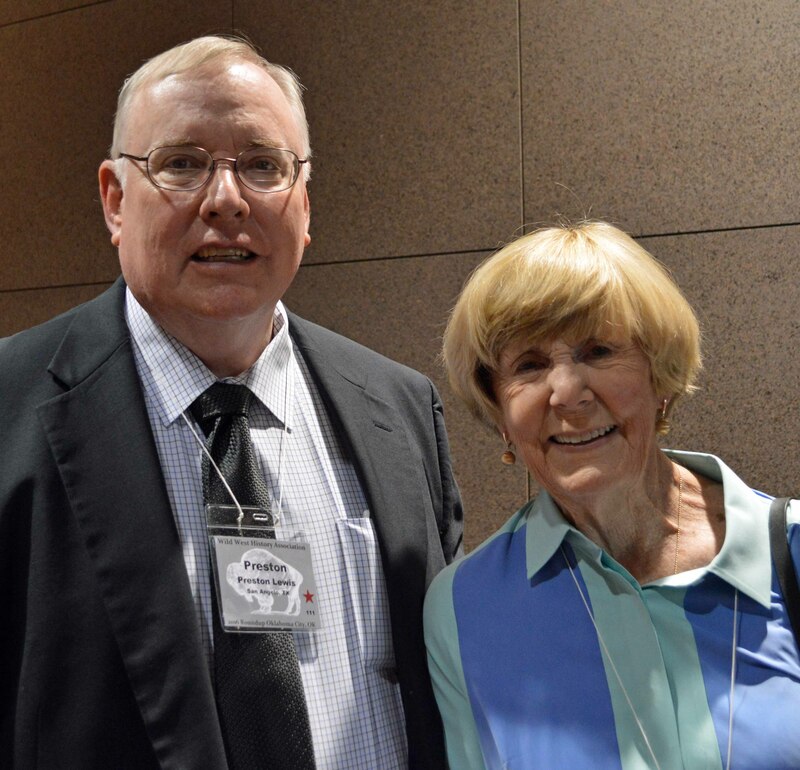 My meeting with Karen Holliday Tanner along with previous introduction to Pamela Fuller Potter means I have met kin to combatants on both sides of the dispute culminating with the gunfight at the O.K. Corral. Despite the tensions of the 1880s that led to the fateful and classic gunfight, I can report there were no further fireworks among the kin at WWHA.